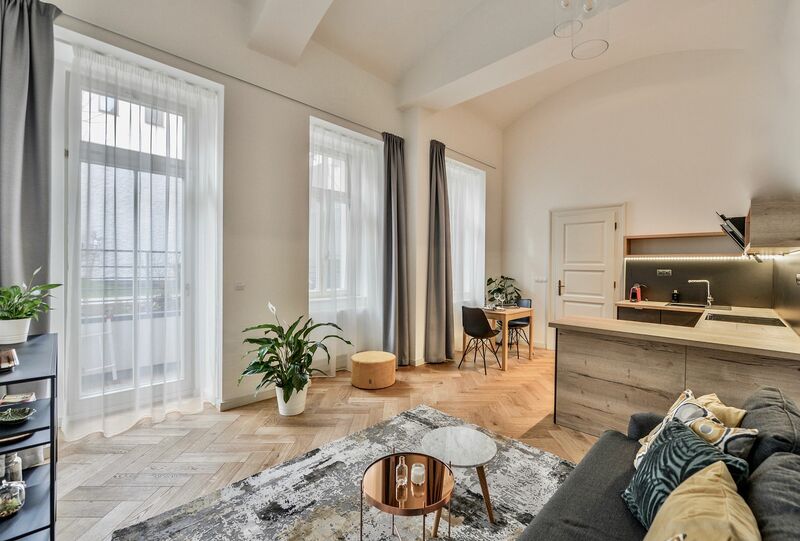 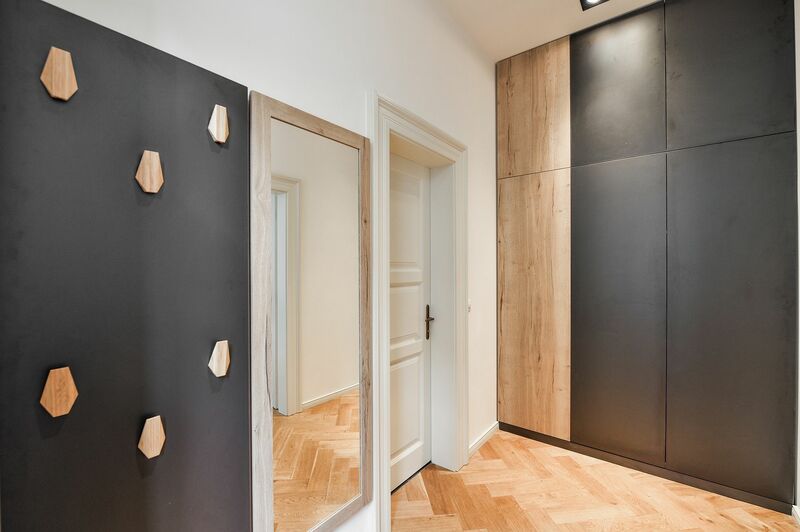 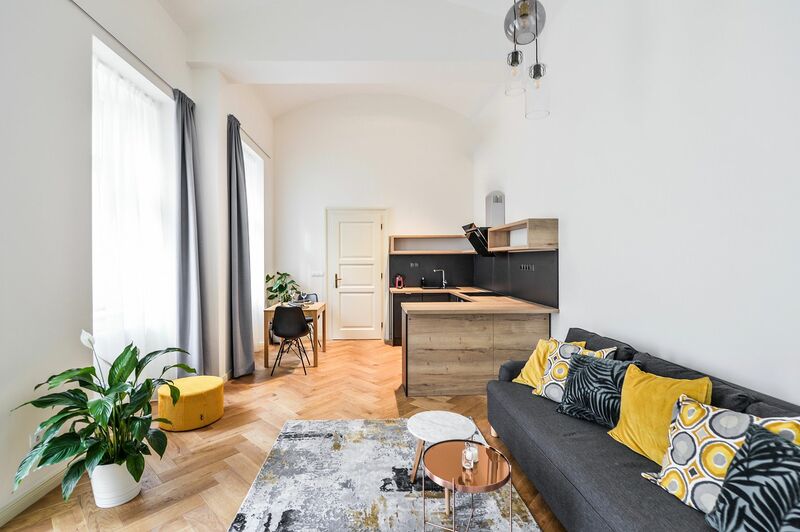 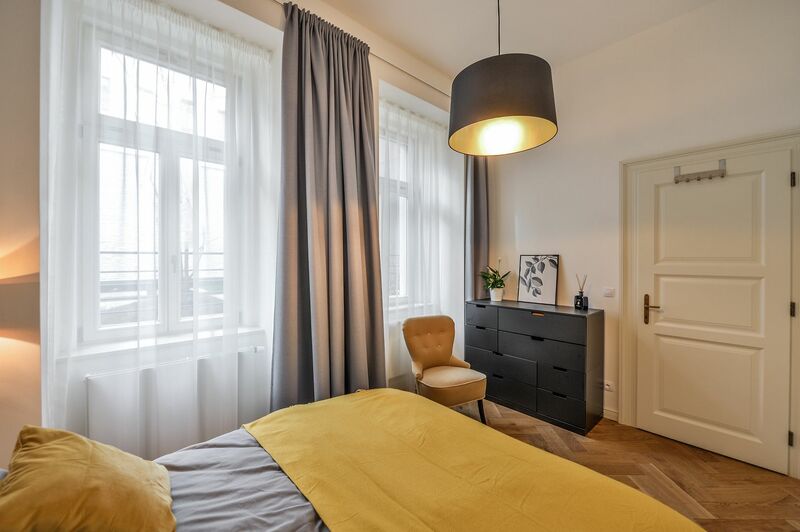 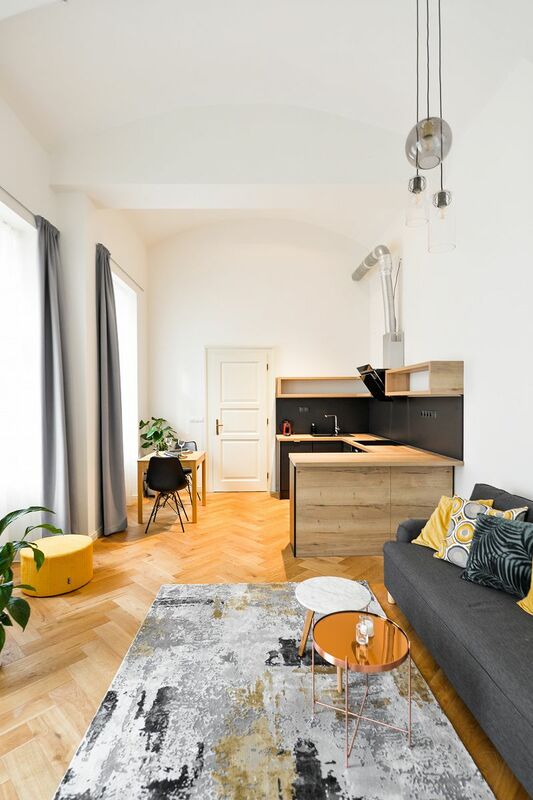 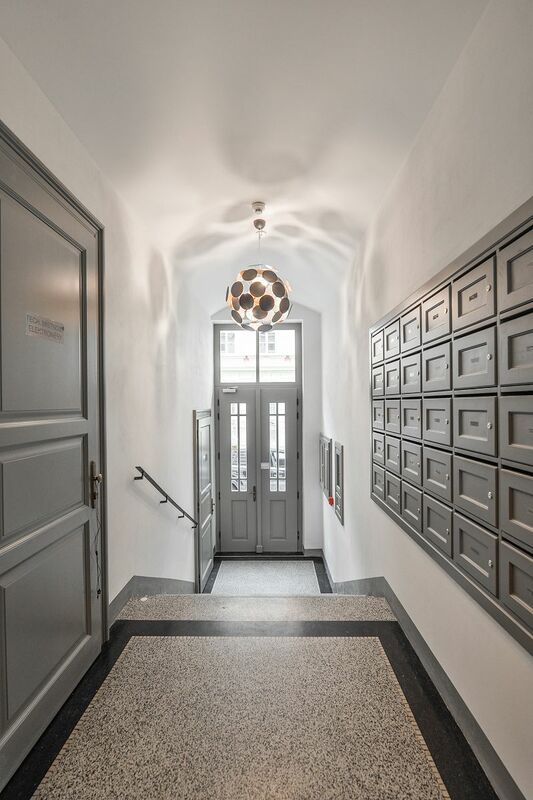 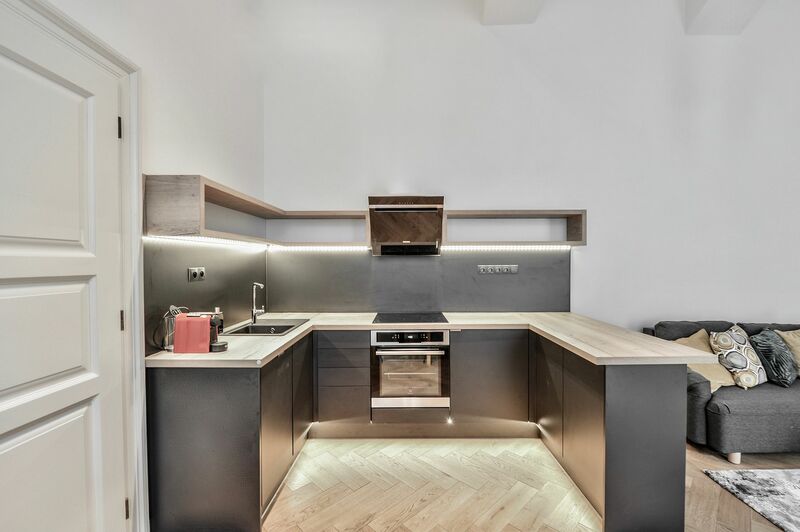 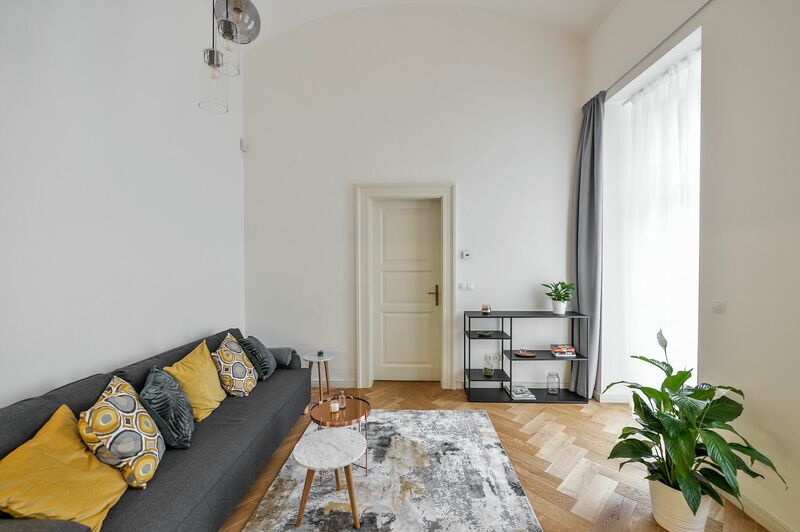 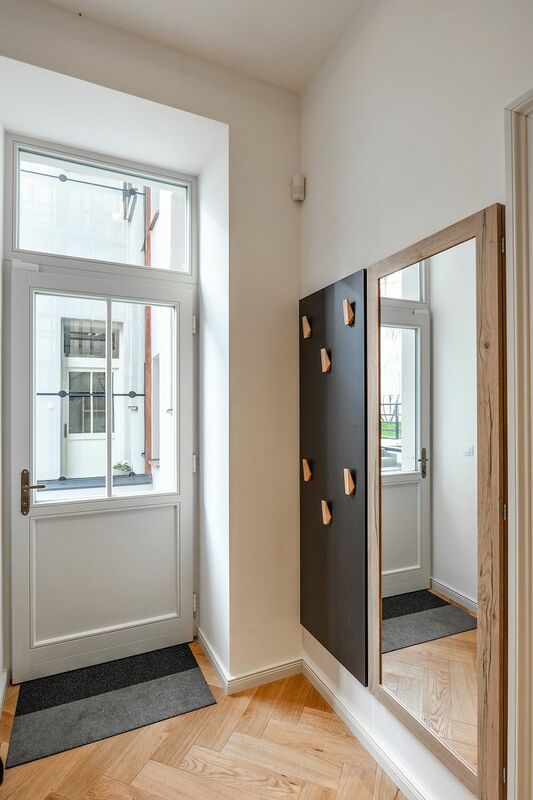 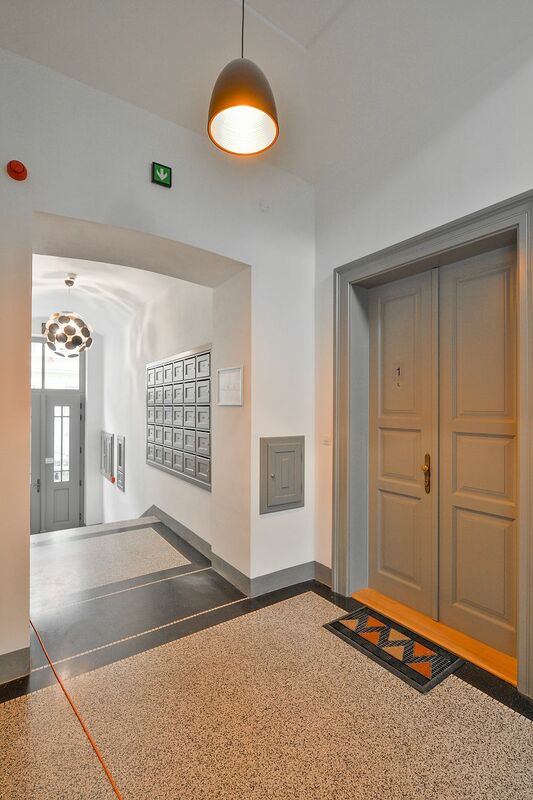 Brand new, fully furnished and equipped design apartment with a terrace, a shared garden and parking, on the ground floor in the White Garden Residence, a newly completely refurbished Art-Nouveau building in close vicinity of the Vltava riverbank. 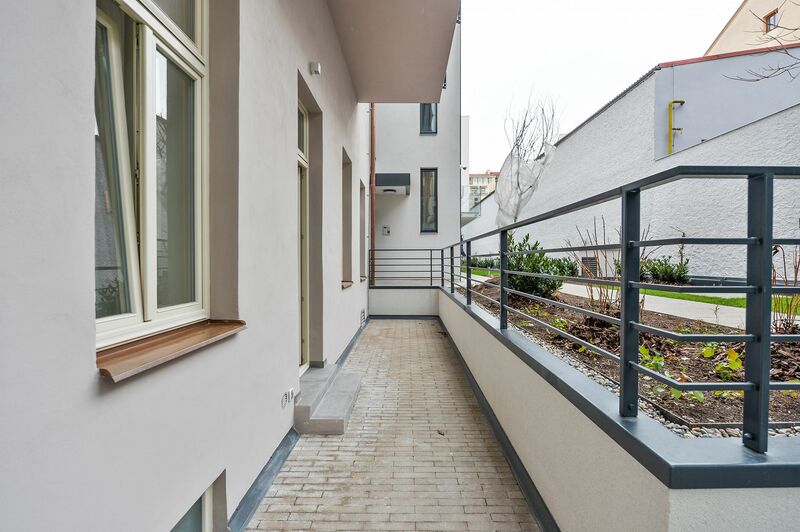 Boasting very quick access to the city center - just a two min. 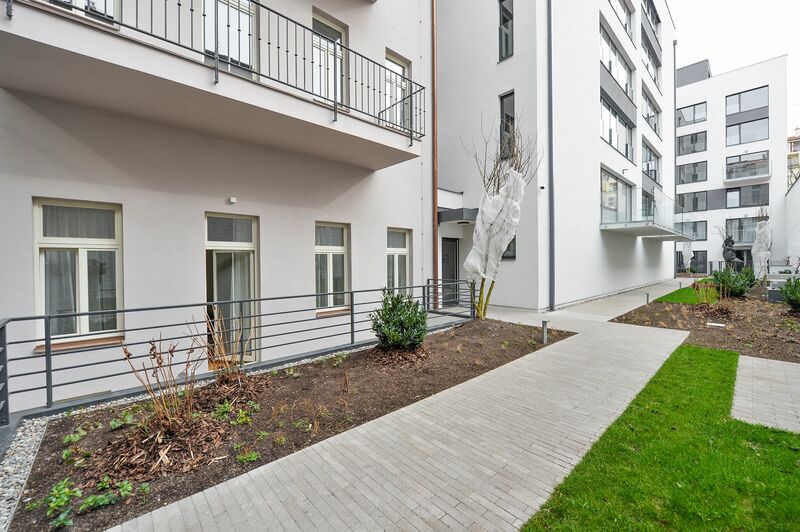 walk to the Anděl metro station, the location offers full amenities and services within immediate reach incl. 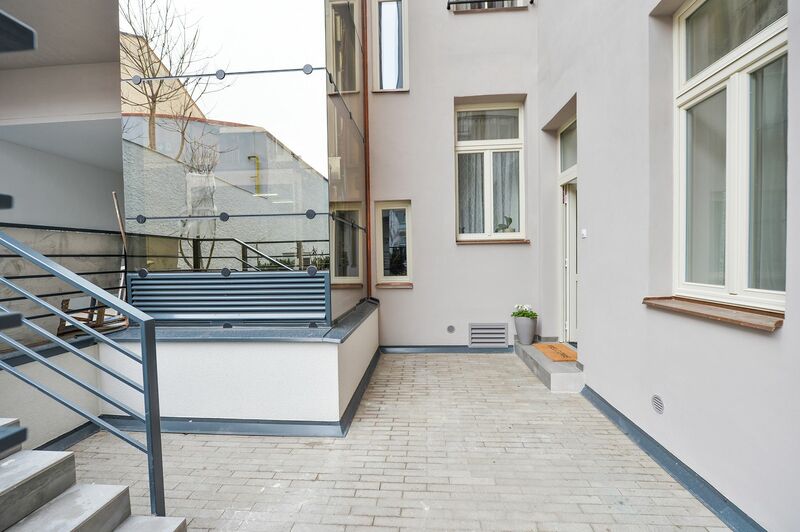 the Nový Smíchov commercial and entertainment center. 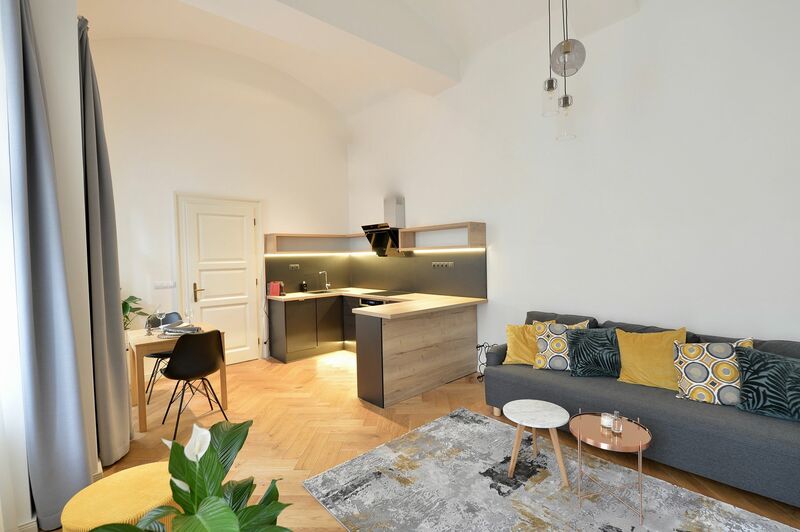 The apartment features a living room with a fully fitted open plan kitchen, a dining area and terrace access, one bedroom, a shower room with a toilet, an additional separate toilet, and an entrance hall with built-in wardrobes. 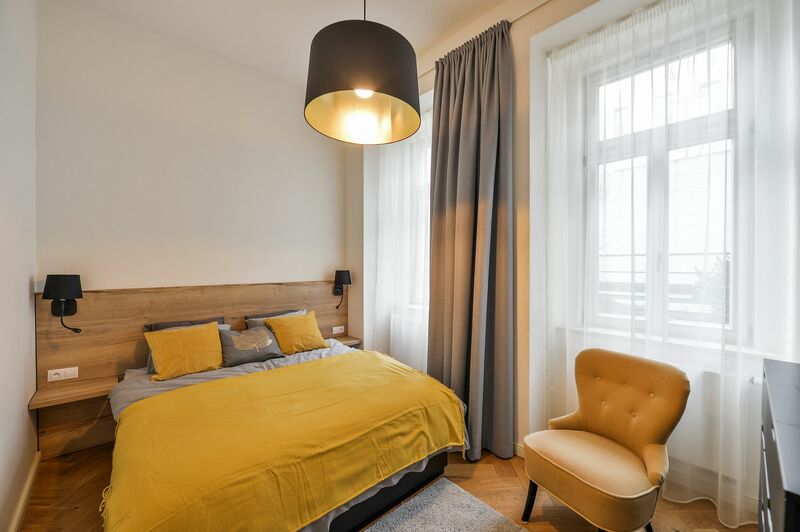 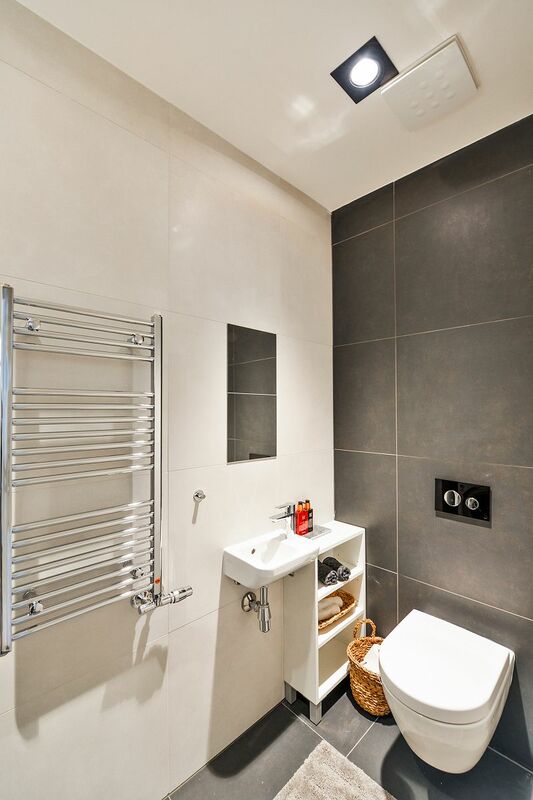 Quality equipment and furnishings, solid wood parquet floors, large format tiling, central heating, sofabed, washer, dryer, dishwasher, kitchenware, towels, bed linen, alarm connected to a security agency, UPC cable, video entry phone, cellar. 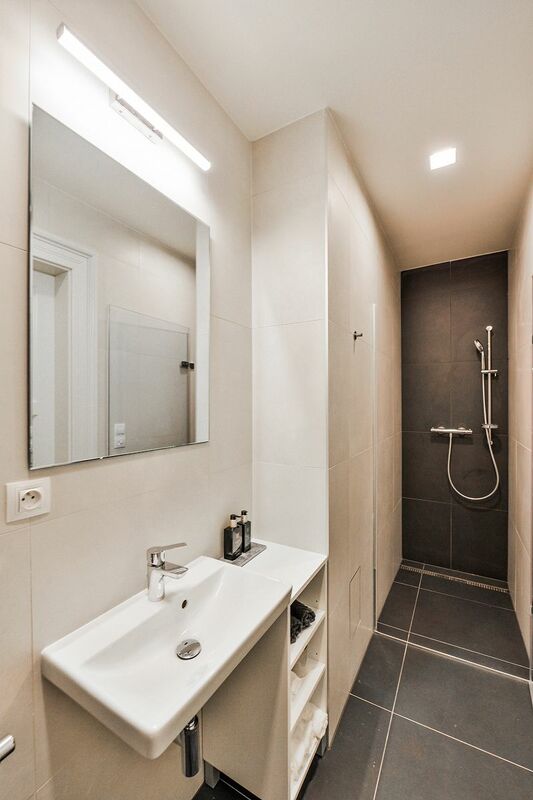 An on-site garage parking space is available for extra charge. 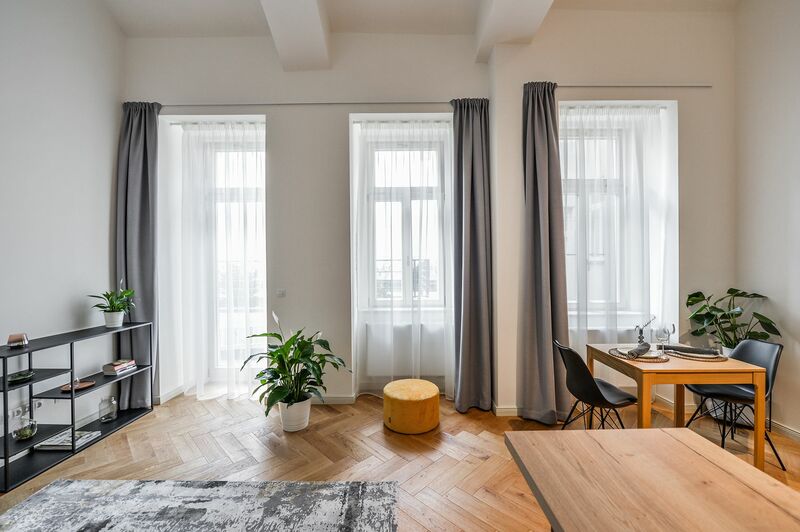 Service charges, water and heating bills and security agency fee are CZK 2500/month. 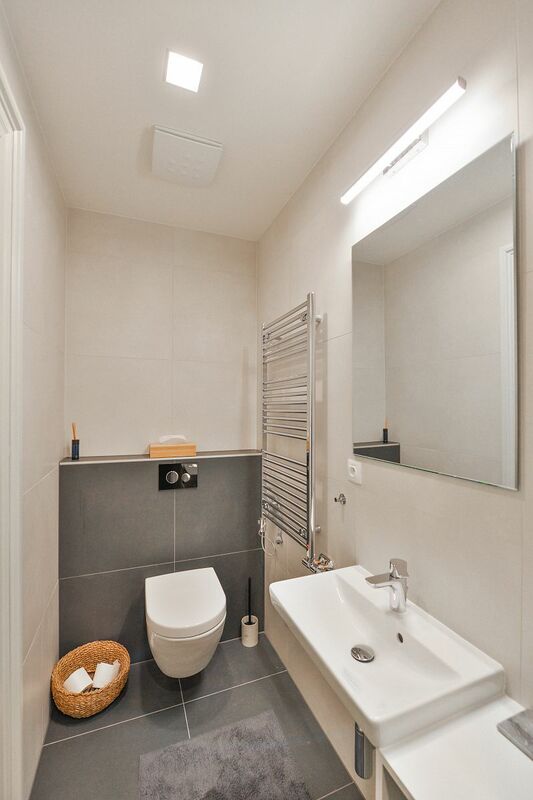 Electricity is billed separately.